Alibaba Group today said that it has reached an agreement to transfer its online pharmacy business to Hong Kong-listed Alibaba Health Information Technology in exchange for majority ownership of the digital healthcare company. In a $2.5 billion deal, Alibaba Group will inject the e-pharmacy operations of its Tmall.com shopping website into Alibaba Health in exchange for newly issued shares and convertible bonds. Alibaba Group’s current 38 percent stake in Alibaba Health will increase to 53 percent after completion of the deal, which is expected to close in the third quarter of 2015, the company said in a press release. Alibaba Health will become a subsidiary of Alibaba Group. By integrating Tmall’s online pharmacy marketplace, called yao.tmall.com, Alibaba Health will be able to offer consumers the widest range of pharmaceutical and healthcare products available in China, company officials said. Yao.tmall.com today hosts 186 licensed pharmacies offering over-the-counter medicines, contact lens, medical devices, and other general healthcare products. Gross merchandise volume (GMV) of those businesses for the fiscal year ended March 31, 2015, was approximately RMB 4.7 billion ($758 million). China’s fragmented medical supply chain and the shortage of brick-and-mortar retail pharmacies in the country’s less-developed regions represent growth opportunities for Alibaba Health. The company will also be positioned to provide a platform for the online sale of prescription drugs. Currently the sale of prescription drugs on the Internet is prohibited in China, but industry analysts say regulators could lift the ban in the future. 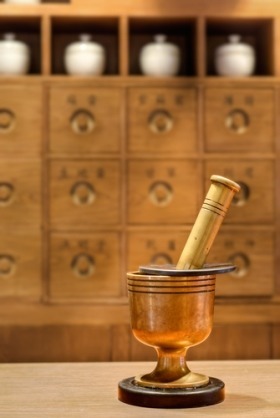 Alibaba Health currently operates the China Drug Electronic Regulation Platform, a project led by the China Food and Drug Administration requiring all drug manufacturers, wholesalers, retailers, and medical establishments to keep sales and authentication records of prescription and over-the-counter medications. “Health care is especially important to Chinese consumers, and we expect that this integration (of Alibaba Health) will enable Alibaba Group to build a healthcare ecosystem that can utilize e-commerce, big data and other technologies to improve the healthcare supply chain and ultimately provide users with a better healthcare experience,” said Alibaba Group COO Daniel Zhang in a statement. Last year, Alibaba invested in pharmaceutical data business CITIC 21CN, later renamed Alibaba Health Information Technology. Following the investment, Alibaba began introducing healthcare-related functions into its mobile shopping and e-payment apps. Alibaba Health last month launched a website that among other services offers an appointment-booking and medical information platform for doctors and clinics; downloads of a mobile healthcare app called Alijk which consumers can use to locate drugs available at nearby pharmacies, to consult online with pharmacists and place orders with their mobile phones; and big-data analysis service for drug manufacturers.